We’re hosting 3 days of networking, exhibits, education and more at the Sheraton Charlotte Hotel in Charlotte, North Carolina, July 20-22, 2017. 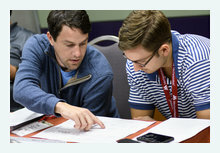 Our Southeast Regional Conference is a great chance to build industry connections and further your career with continuing education and certification. Click here for more details about what we have planned. 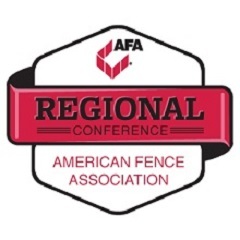 AFA University offers novice and experienced fence professionals like you an opportunity to gain or improve technical skills, advance your career and build a network of professionals that you can consult with for years to come. Join us at the Hilton Arlington from Nov. 5-10, 2017. The Operator Installer School (OIS) provides classroom and hands-on training for anyone in the area of automated gate operator installation. Learn the industry standards, types of gates and operators; job safety and more. The Automated Gate System Design School (AGSD) provides the learner with the skills necessary to design an automated gate system including electrical requirements, access control and accessories associated with automated gates. The Fence Installation School (FIS) is a classroom and hands-on course that will teach you how to install wood, vinyl, chain link, ornamental and farm and ranch type fencing. Last but not least, the Sales Training School. Take your sales to the next level by learning the way to approach sales for the fencing industry and how you can close those sales. Registration will open soon so watch the AFA website for updates. Do you currently hold the Certified Fence Professional (CFP), Certified Automated Gate Systems Designer (AGSD), or Certified Automated Gate Operator Installer (CAGOI) certification? If so, you are required to accumulate a minimum amount of continuing education credit. The AFA offers numerous educational workshops and training to fulfill your certification requirements. The AFA’s upcoming Regional Education Conferences and AFA University will provide a variety of topics that will benefit multiple employees in your organization. Save the date for FENCETECH 2018 in sunny Phoenix, Arizona! FENCETECH will feature top-notch education, technology, networking opportunities and exhibitors for the best trade show in the industry. MAKING A DONATION TO THE EDUCATION FOUNDATION IS EASIER THAN EVER! Make your contribution anytime day or night using our online donation form! Select a pre-determined amount or enter any amount you wish to contribute. Funds are used to award need-based scholarships to fence industry professionals or their children to further their education. Thank you to our many donors for supporting our goal of reaching $250,000. We are getting close. 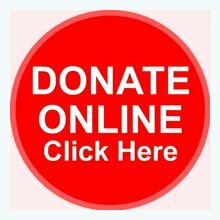 Don’t delay; make your tax-deductible donation now. All aboard! On May 28, the NY/LI Chapter will join together to watch the Jones Beach Air Show featuring the U.S. Air Force Thunderbirds on the Captain Jim 3. For questions and more information, please reach out to chapter president Ken Piil at 516-594-1550. Join the TFA for their summer meeting June 2-3 in Waco, Texas! Their chapter meeting will consist of networking, a general membership meeting, guest speaker, picnic, game day on the Brazos River and so much more! Please contact chapter president Chuck Boyd, with any questions at boydfenceandwelding.com. The 18th annual 4-person best ball golf tournament is scheduled for August 10. The North Central Chapter will have a 1 p.m. shot gun start to kick off their tournament and meeting. RSVP to Bob Peterson at bobp@midwestfenceco.com. The chapter will have their annual fishing trip on the Miss Michelle III. More information and details will be available soon. The 18th annual 4-person best ball golf tournament is scheduled for August 10. The North Central Chapter will have a 1 p.m. shot gun start to kick off their tournament and meeting. Dinner to follow at approximately 6 p.m. RSVP by Thursday, July 27, 2017, to Bob Peterson at bobp@midwestfenceco.com. Clay Shoot at Hill and Dale in Medina County. A one-hour safety training course on loading trucks and trailers safely will take place before the shoot begins. For more information, contact Ken Throckmorton, CFP, Northern Ohio Chapter president, at 330-321-5522 or foreverfencerail@yahoo.com. Your digital edition of the latest issue of Fencepost is available for your reading pleasure. This issue includes a recap of FENCETECH 2017, an article on chain link fencing, expert insight into the fencing industry, and much more. Start reading today! 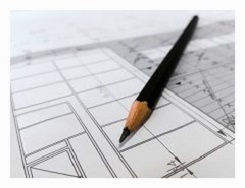 DID YOU MISS THE LATEST ISSUE OF FENCESENSE? Take a look at trends and issues with fence industry leaders and contractors across the country as they share their insights into today’s market and the future to help you make better business decisions. Every major sector of the fence industry is represented on the FenceSense board, including an external economist who watches the housing, construction, and public markets. To sign up to receive this monthly publication automatically, click here. ADVERTISE ON AFA'S OFFICIAL WEBSITE! Website advertising opportunities are still available! Don’t miss out on your chance to reach an average of 7,100 unique website visitors per month. To learn more, view our Media Kit or contact Paul Walley at (417) 326-2091 or PWalley@naylor.com. Book your spot NOW to be included! Sleeve-It by Strata is the only pre-engineered fence post integration system for segmental retaining walls. Sleeve-It is easy to install, improves structural stability, and eliminates the need for auguring.